Please don’t sanitize Palestinian terror. 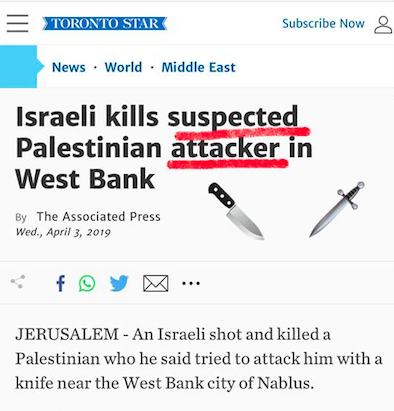 When a Palestinian uses a knife in an attempt to go for the jugular and murder an innocent Israeli civilian, that’s terrorism, plain and simple. Don’t cast doubt on this.